Three ancient sages who lived 2500 years ago continue to influence modern Chinese society. The are Laozi, Buddha, and Confucius. These three wise men laid the foundation for a practical Chinese philosophy – a blend of the three – which has quasi-religious overtones. If you want to understand China, first understand what these men had to say. You may have heard of the term ‘Dao’ (Tao or The Way). This mystical expression was used by the ancient sage Laozi to describe the source and driving force behind everything that exists. And in typical fashion, the Chinese have turned something which was once a philosophy into Daoism, a quasi-religion complete with gods, ghosts, and temples. Chinese people are very superstitious, and ancient Daoism survives in the deepest recesses of the minds of modern Chinese people. It is often the last explanation for Chinese behaviour to be considered after all other rational explanations have been examined and discarded. If I was asked to describe Daoism in one Western phrase, I would choose, ‘Go with the flow’ as my best guess. 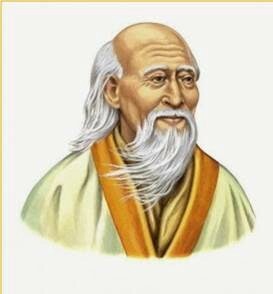 Laozi emphasised the role that nature plays in maintaining harmony in the universe. His thinking is best illustrated by the disarmingly simple design incorporating Yin and Yang – a representation of the harmony of opposites: i.e., balance. Yin. Yin is the feminine side of nature. It is dark, cool, passive, and soft. Yin represents the earth. Yang. Yang is the masculine side of nature. It is hot, bright, active, and solid. Yang represents heaven. Balancing opposites. When in balance, Yin and Yang maintain the harmony of nature. Chinese people seem to have this gift whereby they can maintain their equilibrium within an environment of competing pressures. For example: whereas Westerners tend to look for clear alternatives (option A instead of option B), the Chinese may examine ways to combine both option A and option B. Examples today. Traditional Chinese Medicine (e.g., acupuncture & herbal remedies), fortune telling, Tai-chi, and Feng-shui have their philosophical roots in Daoism. Go with the flow attitude. Chinese people are reluctant to push against a trend or force. They believe that by such non-action they can avoid criticism or harm. This is why lower ranking officers in government bureaucracies and private corporations are reluctant to make decisions. All mistakes are punished in China, so why put yourself in a vulnerable position? Further, if something goes wrong, a scapegoat must be found. So again, why stick your neck out? Some people say that ‘non-action’ contributes to social harmony. If this is true, then perhaps this is why mavericks, whistle-blowers, and Type A personalities are regarded as misfits in China. 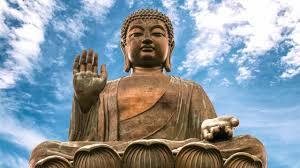 Western people are more familiar with Buddhism. Especially those versions which are practiced in Southeast Asian countries and Tibet. Buddhism underlies the oriental person’s acceptance of Fate. Buddhism in China however, appears to be less of a pious practice for its own sake, and more of a means to achieve personal goals: e.g., academic achievement, success in business, to have a son, and so on. True, there are monks and monasteries and temples, but like Daoism, there is always the hint of superstition attached to ritual. Nevertheless, Buddhism has been both the official state religion in the past (e.g., during the Tang Dynasty), and the object of violent destruction more recently (e.g., during the Cultural Revolution). It still preaches that earthly desire is the cause of human suffering, and that in order to progress spiritually we should live lives of compassion. This is all well and good, but Buddhism in China struggles against a dominant Chinese philosophy of materialism. Chinese people just don’t take religion seriously. Perhaps this is why they have never had a religious war? But things are changing. Since the death of Communism as a political ideal, many Chinese complain that people don’t believe in anything anymore. They are vaguely uncomfortable with this state of affairs and have begun to sift through their cultural heritage for spiritual guidance. Buddhism in China may experience a revival. Reincarnation. Buddhists believe in reincarnation. How we have behaved in previous lives determines the quality of the life that we will live in our next reincarnation (Karma). Cycle of death and re-birth. The goal of Buddhism is to break out of the endless cycle of death and re-birth. Compassion. Compassion for all living things is central to Buddhist philosophy. It is also a means for gaining enlightenment. Although Western people have heard many jokes about Confucius, very few really understand his main ideas and how important his thinking has been to Chinese culture and society. Of the three major influences mentioned here (Lao zi, Buddha, & Confucius), Confucianism has had the greatest influence on Chinese society. Confucius lived during a time of great social chaos. He considered that social stability depended on enlightened leadership of a structured society in which roles and responsibilities were clearly defined. The survival of the state being more important than the rights of any individual. The Chinese state is built on this foundation. This cultural template proved to be so strong and enduring that invaders of China such as the Mongol nomads from the barren steppes to the north and the Manchus from their rich valley society in the northeast failed to impose their own culture on their acquired Chinese empire. In fact, the reverse happened. Ultimately these militarily powerful conquerors were absorbed into a resilient Chinese culture. One might ask: who in fact conquered whom? Even Chairman Mao’s attempts to ‘conquer’ Confucianism by replacing it with a foreign ideology failed. Today we see the Party leadership in China promoting an harmonious society via the virtues of Confucianism rather than the template of Marxism/Leninism. This is not unusual. Throughout China’s long and turbulent history, usurpers of power have always sought to legitimise their rule by this means. Order and harmony. Confucius lived in era of social chaos. His primary concern was how to create order and harmony in China. Benevolent leadership. He introduced the idea of benevolent leadership and reasoned that social harmony would be promoted if everyone understood their place in society and were taught the proper behaviours associated with that rank. In short, a top-down, hierarchical, static society. These days, Chinese people continue to respect authority and defer to their elders and superiors. Disadvantages. Chinese people can sometimes act according to how they are expected to behave rather than how they actually feel. Imperial examination system. Confucius sought to replace hereditary rule with a leadership based on scholarship and learning: i.e., a meritocracy. This led to the development of an imperial examination system in which any male who studied hard enough (memorization of the classics) could become a government official and enjoy wealth and prestige in the world’s first public service bureaucracy. Today. The Chinese education system remains influenced by Confucian philosophy: e.g., rote-memory is emphasised, there is little creativity, and there are endless exams. The student’s aim is to get into a prestigious school or university. The system is geared to weeding students out rather than educating them and those who succeed have a path to a good career and a high salary. Although the content is different, the modern system parallels the ancient imperial examination system. Education valued. All Chinese families value education. They push their children to study hard. A good education for the child can mean financial security for an extended family. Confucianism focuses on the family. Chinese society defines a person in relation to others. Thus the family is seen as the primary unit of society rather than the individual. In a society where there is no rule of law, an extended family provides what the government does not provide. Filial piety. This common Confucian term refers to the virtue of family loyalty and respect. Family is everything to Chinese people – including those members who have passed on. Hence the Chinese tradition of ancestor worship. By the way, ancestor worship does not imply the Christian notion of ‘worship’. The dearly departed are not gods or saints – they just remain part of the family after death. Advantages. There is less need for government services; the elderly remain contributing members; and correct behaviour is promoted. Disadvantages. Nepotism, corruption & cronyism, insiders & outsiders, and little social or civic responsibility. One’s family comes first. So does whatever group one belongs to. The broader community is outside these inner circles. 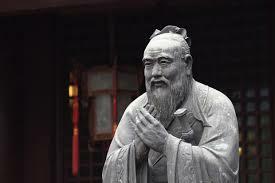 Confucianism is a sophisticated ethical, philosophical, political, and religious system which is both a moral guide and a recommendation for good government. It teaches correct social behaviour and values harmony and social order. Unlike Western religions, it is does not deal with spiritual concerns such as human suffering and life after death.